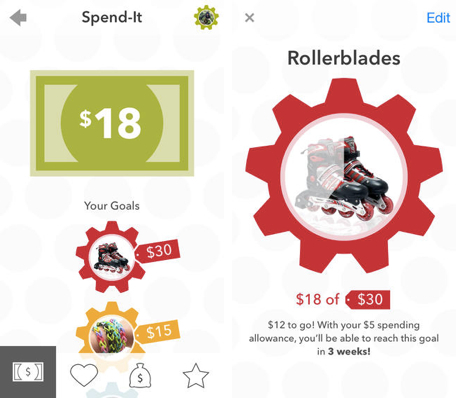 PiggyBot is a new allowance app from BancVue that landed in the iOS App Store earlier this month. Unlike other piggy banks that track real money in your child's physical piggy bank, PiggyBot is a ledger sheet that tracks virtual money. The virtual currency of PiggyBot is wonderful for busy parents who don't always have a five dollar bill in their pocket when it comes to paying out allowance or dispensing cash for an extra chore well done. Instead of handing over a paper bill, PiggyBot allows a parent to create an account on an iPhone and add money to that virtual account as needed. The account options in PiggyBot allow each child to have an allotment of money for savings, for sharing and for spending. When parents add money to a child's account they can determine where the money will go and then child can decide how to share or spend it. When a child is ready to make a purchase, the parent will know immediately how much the child has in their bank and can deduct that amount on the fly. The app is meant to be used by parents and children, with the parents controlling the accounts and dispensing the money, and the children adding in items they want to buy and people with which they want to share their money. Each account is locked by a pin, so children can't access the parent's account and each sibling is locked to their own account. PiggyBot has a colorful interface with enough customizations that the app can be personalized for each child, but the options are not overwhelming. Each child can change the color of their virtual bank account as well as add an image, for example. There are no syncing options, so the data resides only on a single device. 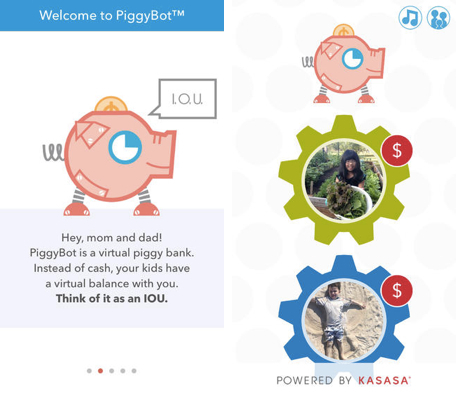 PiggyBot is associated with Kasasa, a national brand of free checking and savings accounts that offers rewards. 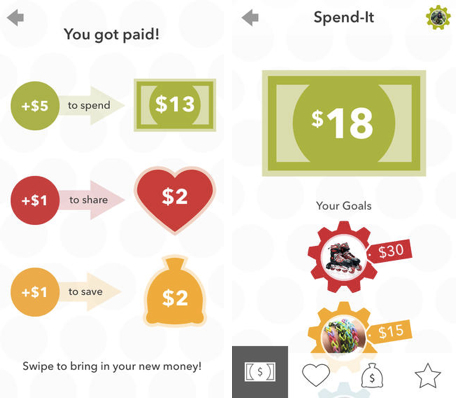 The app is meant to be a utility for parents and a learning too for children to help them manage their money wisely by allowing them to spend, share and save their cash. There are no logins and the app is not tied to any checking account services. Other than the "Powered by Kasasa" logo at the bottom, there are no ads in the app. PiggyBot is available for free. It is compatible with the iPhone and iPad and requires iOS 7. Daily App: PiggyBot is a colorful allowance tracker for both parents and kids originally appeared on Breaking Apple News, Tips and Reviews from The Unofficial Apple Weblog on Mon, 07 Apr 2014 09:00:00 EST. Please see our terms for use of feeds.